By Deepthi Sathyajith, M.Pharm.Reviewed by Dr. Tomislav Meštrović, MD, Ph.D.
Antibodies are glycoproteins that bind to antigens (such as those of bacterial or viral origin) to eliminate or neutralize them. Polyclonal antibodies recognize multiple epitopes, whereas monoclonal antibodies only recognize one. Antibodies are Y-shaped proteins that contain a constant region and a variable region. The constant region is common to all antibodies, whereas the variable region is specific to one isotope. This specificity of the antibodies make them ideal research and diagnostic tools to study or detect underlying pathological conditions. Most antigens are complex in nature and can have numerous epitopes. For such antigens, it is necessary to have antibodies that recognize multiple epitopes of the antigens. Antibodies produced by different B-cell clones in the body are known as polyclonal antibodies, whereas monoclonal antibodies are generated by identical B cells that arise from a single parent cell. The tissue culture method is used to produce monoclonal antibodies. The process of production starts by ex vivo fusion of myeloma cells with antibodies-producing B-cells in the presence of polyethylene glycol, giving rise to hybridomas. These B-cells are normally spleen cells extracted from mice. The clones that are produced are then screened and selected based on their antigen specificity. Due to the high specificity of monoclonal antibodies, consistent results are usually obtained while producing batches of antibodies. In addition, monoclonal antibodies are best suited for affinity purification methods. However, use of monoclonal antibodies has its own disadvantages such as high cost, extended production time, and vulnerability to loss of epitope upon chemical treatment of the antigen. Polyclonal antibodies are produced in live animals. The usual animal of choice for production is rabbit. The advantages of using a rabbit over other animal species are its body size, the ease of collecting blood samples from its marginal ear vein and central auricular artery, as well as good responsiveness to multiple antigens. After injecting the immunogen into an animal to elicit the primary immune response, the animal is injected again, for the second or third time, to increase the antibody titers within its serum against a particular antigen. These polyclonal antibodies can subsequently be isolated from the serum by purification. Unlike monoclonal antibodies, polyclonal antibodies are more tolerant to changes that may happen to the antigen such as denaturation, polymorphism or chemical exposure. Use of polyclonal antibodies also reduces the production time and overall cost. These antibodies also have the ability to detect across wide range of species and can amplify signals from low expression target proteins. The main drawbacks of using polyclonal antibodies are their high variability between batches and the chances of cross-reactivity. Monoclonal antibodies are used as primary antibodies in immunoassays due to their epitope specificity, while polyclonal antibodies are used as secondary antibodies in immunoassays as they bind to different epitopes of an antigen. Polyclonal antibodies are suitable reagents for hemagglutination reactions and in diagnostic assays. The monospecificity of monoclonal antibodies is particularly useful in the study of protein-protein interactions, phosphorylation conditions, as well as changes in molecular conformation. The first commercial therapeutic monoclonal antibody product was used in 1986 after which there has been significant growth of this class of biochemical products. It is estimated that there will be approximately 70 different monoclonal antibody products available by the year 2020. 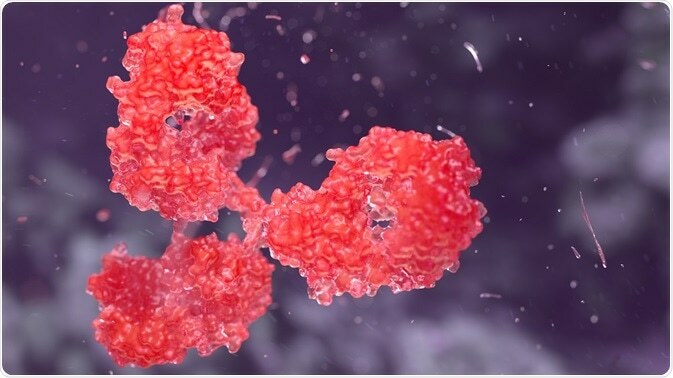 Monoclonal antibodies have been widely used to treat cancer, respiratory disorders such as asthma, and in rheumatoid arthritis, with the potential to broaden the list of indications. On the other hand, the lack of specificity and chances of cross reactivity of polyclonal antibodies render them inefficient in treatment of carcinomas. However, polyclonal antibodies are used in the field of transplant immunology and immunosuppression especially as induction therapy in high-risk patients before the start of transplantation. Sometimes a candidate monoclonal or polyclonal antibody may turn out to be ineffective in humans due to poor translation of its activity from the preclinical stage. To address this issue, studies are being developed with a focus to improve safety assessment of monoclonal and polyclonal antibodies without the use of non-human primates. In vitro and in silico technologies such as cell lines, systemic pharmacology, and modeling are increasingly being used for safety and toxicology testing of antibody based products. In addition, antibody therapeutics is a fast growing biopharmaceutical area with research focusing on developing oligoclonal and recombinant polyclonal antibodies with synergistic antibody effect. 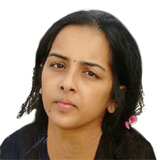 Deepthi spent much of her early career working as a post-doctoral researcher in the field of pharmacognosy. She began her career in pharmacovigilance, where she worked on many global projects with some of the world's leading pharmaceutical companies. Deepthi is now a consultant scientific writer for a large pharmaceutical company and occasionally works with News-Medical, applying her expertise to a wide range of life sciences subjects.